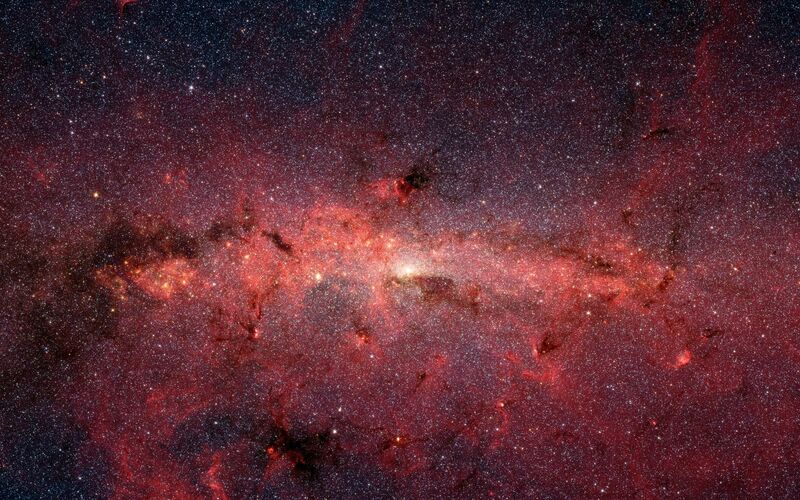 In this false-color picture, old and cool stars are blue, while dust features lit up by blazing hot, massive stars are shown in a reddish hue. Both bright and dark filamentary clouds can be seen, many of which harbor stellar nurseries. 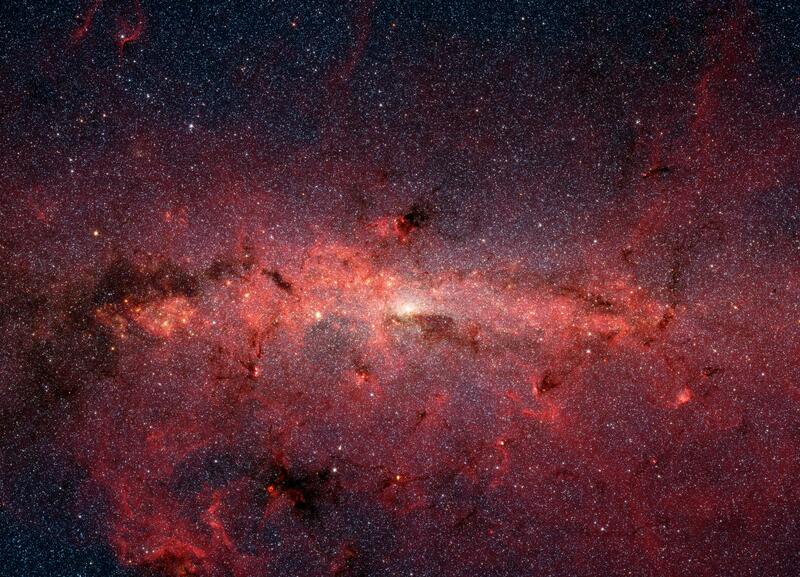 The plane of the Milky Way's flat disk is apparent as the main, horizontal band of clouds. The brightest white spot in the middle is the very center of the galaxy, which also marks the site of a supermassive black hole. The region pictured here is immense, with a horizontal span of 890 light-years and a vertical span of 640 light-years. 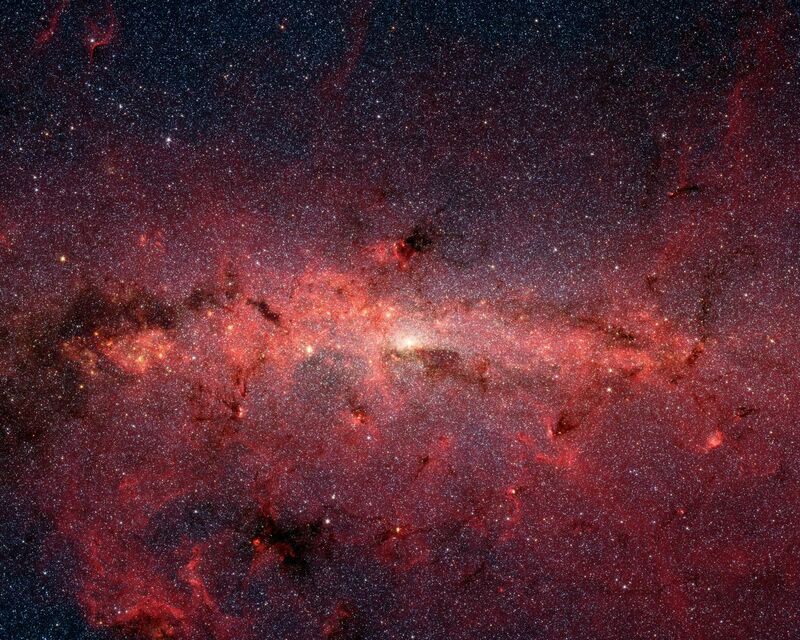 Earth is located 26,000 light-years away, out in one of the Milky Way's spiral arms. Though most of the objects seen in this image are located at the galactic center, the features above and below the galactic plane tend to lie closer to Earth. Scientists are intrigued by the giant lobes of dust extending away from the plane of the galaxy. They believe the lobes may have been formed by winds from massive stars. 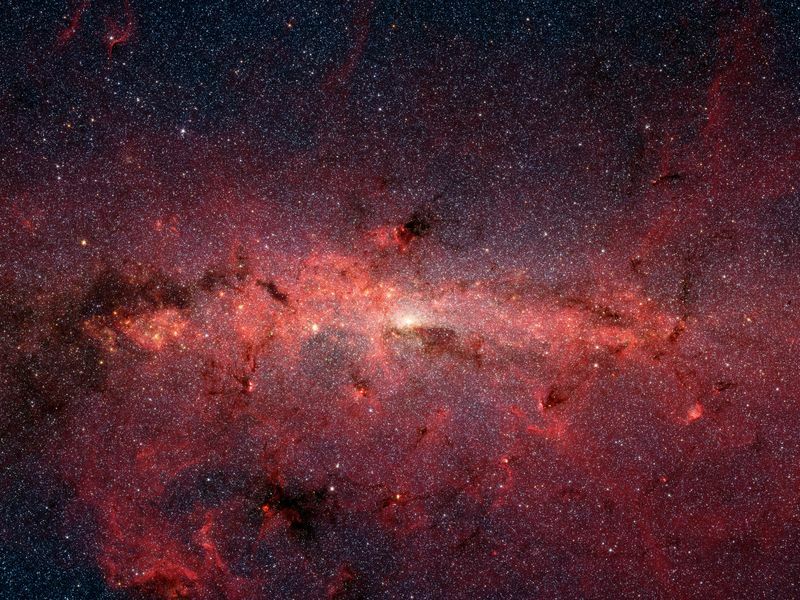 This image is a mosaic of thousands of short exposures taken by Spitzer's infrared array camera, showing emissions from wavelengths of 3.6 microns (blue), 4.5 microns (green), 5.8 microns (orange), and 8.0 microns (red). The entire region was imaged in less than 16 hours.